Photographer Patrisha McLean is sitting on top of the world—at least it seems that way from the vantage point of her hilltop home on the outskirts of Camden. 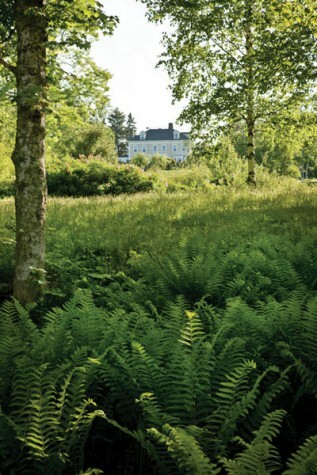 Lakeview, the gracious Georgian-style house that McLean shares with her husband, the singer and songwriter Don McLean, and their two teenage children, Jackie and Wyatt, is located on two hundred private acres overlooking Megunticook Lake. The home’s lofty perch offers sweeping views of Camden Hills State Park, and the protected park land ensures that their pristine panoramic vista will never be sullied by development. When the McLeans purchased Lakeview more than eighteen years ago there were no gardens on the property, only a single lone rose bush known fondly as “the mystery rose” because it still hasn’t been identified. Today “the mystery rose” is the centerpiece of the terrace garden located in a sunny spot adjacent to the house’s front entrance—one of the first areas the McLeans planted. Planning the gardens each year is a collaboration between husband and wife—Don selects the site and Patrisha chooses the plants. “Don’s part in the gardens is deciding where each of them will be,” says Patrisha, “He has a great eye for design and decorated our home.” Patrisha, though, was the one who initiated the gardening fervor and the focus on heirloom roses. The gardens feature prominently in McLean’s photography. 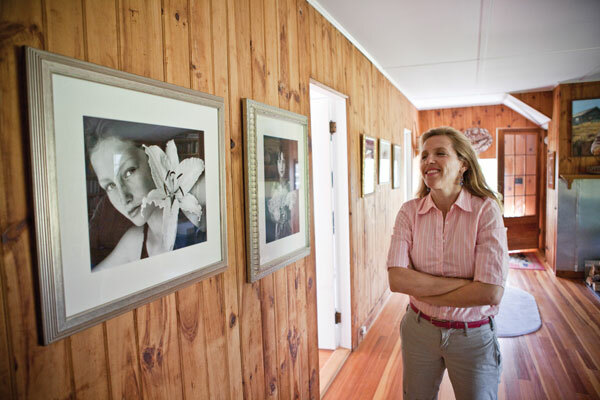 She is a noted photographer of commissioned children’s portraits, as well as her own documentary and fine art work. One of her signature series is Flower Girls, an ongoing collection of images pairing flowers from the gardens with young girls between the ages of 7 and 12. The photographs capture the beauty of the girls and the blossoms that McLean carefully selects to complement each young model. 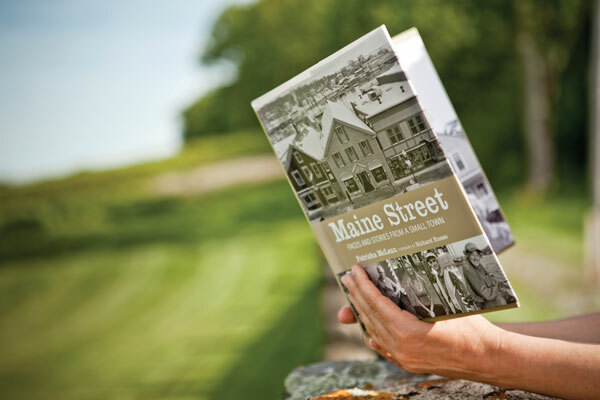 Fortunately for us, McLean shares Evelyn Richards’s story and those of other memorable small-town neighbors in Maine Street. Her photographs remind us that beauty can be found everywhere, even if it is as fleeting as youth and flowers.